I’m so excited to share this super easy and delicious recipe made with Martha White Sweet Cornbread Muffin Mix. They’re perfectly sweet and maple-y with a little crunch from the pecans. They’re great for breakfast, and snack, or even dessert! This recipe is just one of the amazing recipes in the new Martha White E-Cookbook – Easy Favorites from Martha White and Friends! Brandie from The Country Cook, Tina from Mommy’s Kitchen, Christy from Southern Plate, Shawn from I Wash Your Dry, Stephanie from Plain Chicken, and I all contributed amazing recipes using Martha White mixes! There’s some serious deliciousness in this baby! 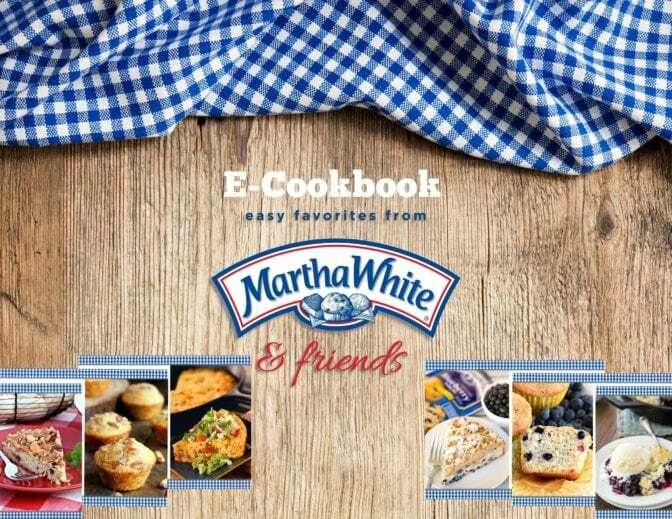 Get your Easy Favorites from Martha White and Friends e-cookbook here! 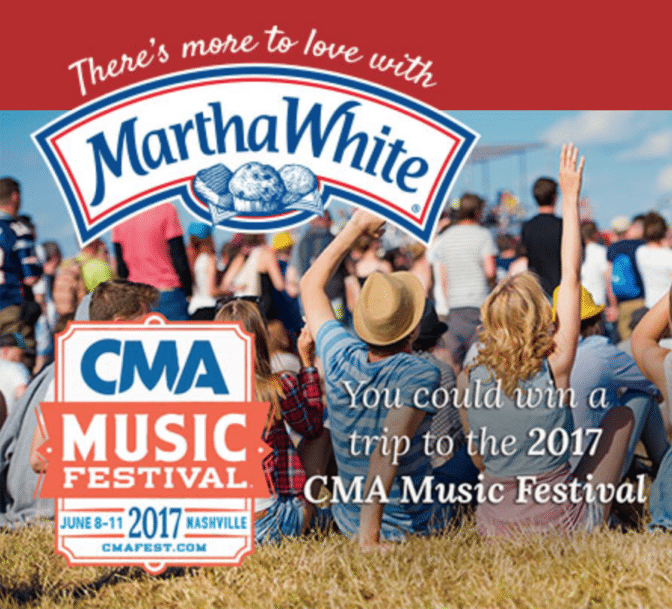 Not only are you getting a free e-cookbook, but the folks at Martha White are also giving away 4 chances to win a trip for 2 to Nashville for the CMA Festival! 4 chances!! It includes airfare, hotels, transportation, etc. (Be sure to see the official rules for details.) Check out the contest page to get the deets and to enter! Thanks for sharing these good sounding recipes! Of course! There are some great recipes here. Hey,Stacey. Thanks for the receipe.You’re receipe for bacon cornbread is a real winner at our house.This receipe sounds good with a glass of cold milk. Glad you like that Bacon Cornbread! Hope you’ll enjoy these too! Stacey thanks for sharing the recipe ebook. I just printed off two copies, one for my mom and one for myself. 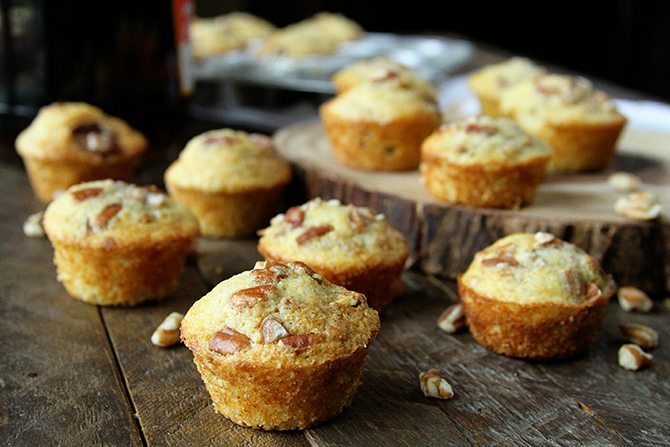 I’m going to make these Maple Pecan Cornbread Bites this week! You’re welcome! I sure hope you’ll enjoy the recipes! thanks for sharing the recipe ebook.